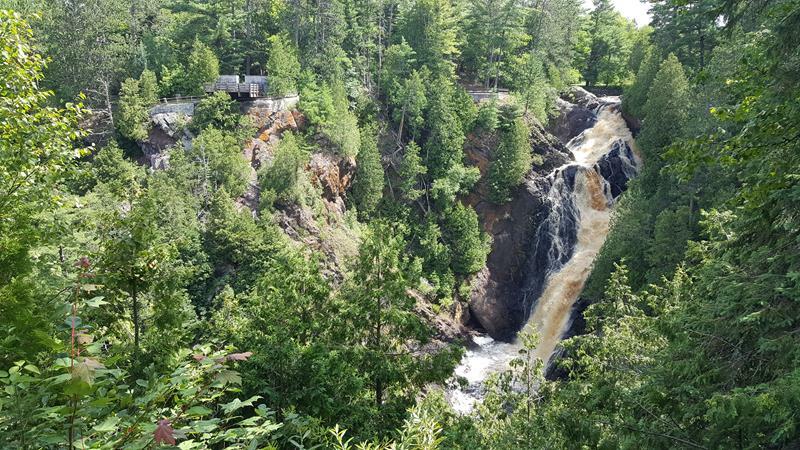 With an oft-brownish tint in the water – which is just from the natural minerals in area – Big Manitou Falls sends the Black River tumbling 165 feet over a rocky drop on its way to the St. Louis River delta. Big Manitou is Wisconsin’s highest waterfall and fourth highest east of the Rockies. Much of the year the water is either frozen or relatively light in volume, but during snow melt and after significant rains the falls generate a roaring noise and add vibrancy to the park’s already stellar natural beauty. Big Manitou Falls is the centerpiece of Pattison State Park, named for early settler Martin Pattison. He was an early lumber man and miner, and amassed enough wealth to build a mansion in Superior, just up the road, that today is known as Fairlawn Mansion & Museum. Pattison State Park’s construction in 1920 (and its 1935 expansion as part of a CCC project) allowed people to visit the falls, walk over three miles of trails, and experience the beauty of Big Manitou Falls from multiple angles. There are several scenic overlooks of the falls; one is accessible from trails that go under Highway 35, the others can be accessed just off County B. Big Manitou Falls has essentially twin siblings upstream in the form of Little Manitou Falls, two waterfalls each 31 feet high. Those are accessible by heading south on Highway 35 about 1/2 mile; signs will point you to Little Manitou and the site of the early labor camp for the park. 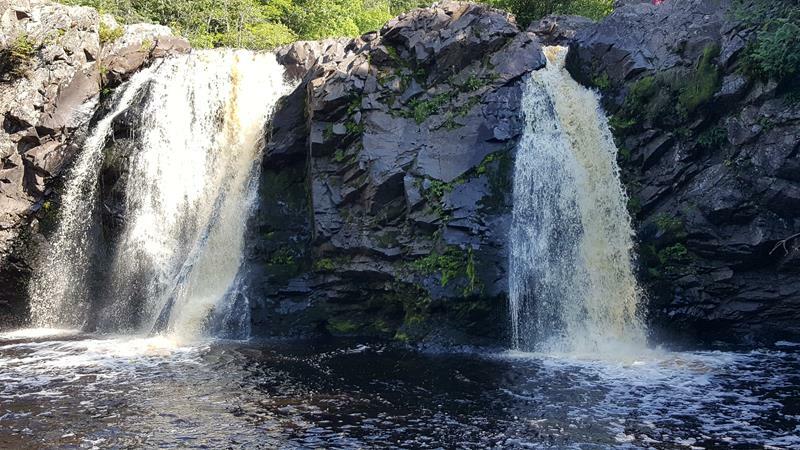 Little Manitou Falls is just upstream from Big Manitou, also in Pattison State Park. 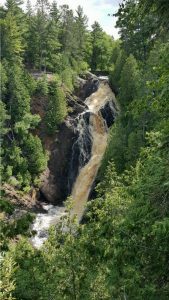 You’ll find Big Manitou Falls and Pattison State Park along Highway 35 about 15 miles south of Superior in Douglas County – the far northwestern corner of Wisconsin. The majesty of these falls makes it worth the drive. You can access the falls and park via several county roads heading west from the U.S. 53 freeway, too.